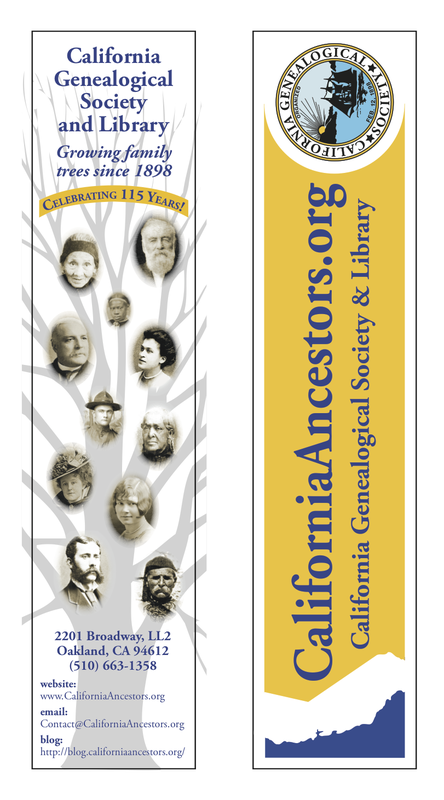 California Genealogical Society and Library blog: Celebrating 115 Years with our Updated Bookmark! Celebrating 115 Years with our Updated Bookmark! Ancestor photographs courtesy of our members. Graphics and design by Lois Elling. The bookmark is beautiful! Great job!